The economy of the district is predominantly based on agriculture and marine products. Though the district is industrially backward, some traditional industries based on coir and coir products, marine products, handlooms, different types of handicrafts, toddy tapping, etc.have been dominating the scene from the very early times. 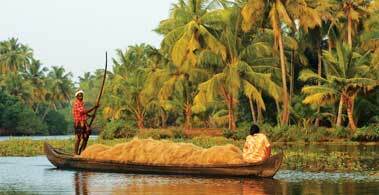 The district is known as the traditional home of coir industry in Kerala. The easy availability of of raw materials and existence of backwaters and canals suitable for the wetting of green husk and accessibility of transportation are the main factors for the development of this industry. Arabs had carried on trade in coir products from very ancient times. The manufacture of mats and mattings was first introduced in 1859 by Mr. James Durragh, an American who founded the firm M/s Durragh Smail Ltd., at Alappuzha with offices in London and New York. The Coir Board was established by the Central Government under the provisions of the Coir Industry Act, 1955. There is a Coir Research Institute functioning at Kalavoor. 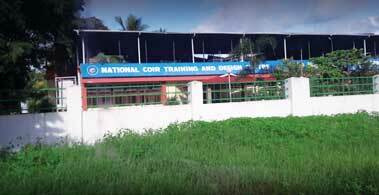 The National Coir Training and Designing Centre was also established at Alappuzha in 1965. From the very early times, Alappuzha proper was considered the Venice of the East and the interior of the district paved way for its overall development. 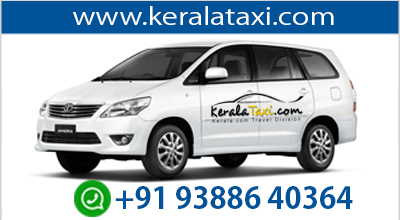 Consequent on the importance attained by Kochi, the development of Alappuzha was considerably retarded. Of late, there is a ray of hope of industrial development in the district with the opening of the new rail link with Ernakulam, the Commercial capital of Kerala. Within the next few years, Alappuzha district may take its old position, provided the working class gives a favorable climate for industrial expansion. Coir is the most important commodity manufactured in Alappuzha, Kayamkulam, Kakkothamangalam, Komalapuram, Mannancherry, Muhamma and Cherthalai . Lime shell in Arookutty and Kodamthuruthu, Plywood in Chengannur, Keltron controls in Aroor, Potassium Chloride in Mavelikkara and coconut in Thanneermukkom are also worth mentioning and figure in the industrial map of Alappuzha. The other important commodities manufactured in these towns are copra, coconut oil ,glass, mats, marine food and matches. There are few investment opportunities in Alappuzha. In manufacturing sector, you can plan medium and small scale units in coir, coconut, China clay, food processing, construction materials etc. 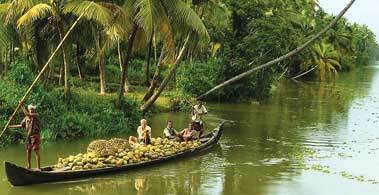 Coming to tourism, backwater and heritage tourism are the most wanted one in Alappuzha. You can also find scope for software development and software training centres at Alappuzha.